Sending email campaigns is without a doubt one of the most powerful marketing tools you could ever use if you want your business to continue flourishing. By reaching both current and potential customers through their mail inbox, you can send across your message easy, efficient, affordable and effective. It has always been said that a good email marketing campaign should be clear, concise and creative for it to quickly catch the attention of your readers. For a short amount of time, you should be able to build a strong relationship to earn trust and loyalty. A healthy email database is likewise needed for the campaign to be successful. Although, sometimes it can be challenging to think of new ways on how to keep your readers engaged. To help you come up with fresh ideas, here’s a collection of high-impact email campaigns that are truly worth stealing. 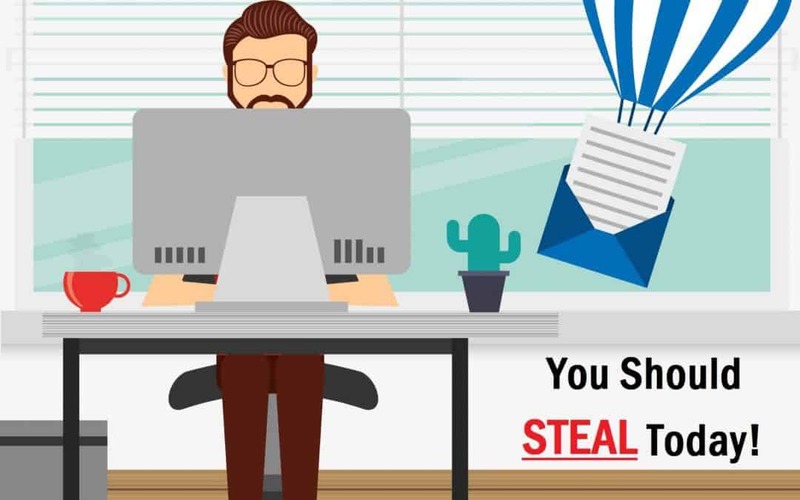 8 Email Campaigns You Should Steal Today! Being an online pet retailer, it is surprising that this company have over one million fans on Facebook, and they know how to use it wisely on their advantage. Petflow regularly borrow contents on their Facebook and integrate it on their mass emails. 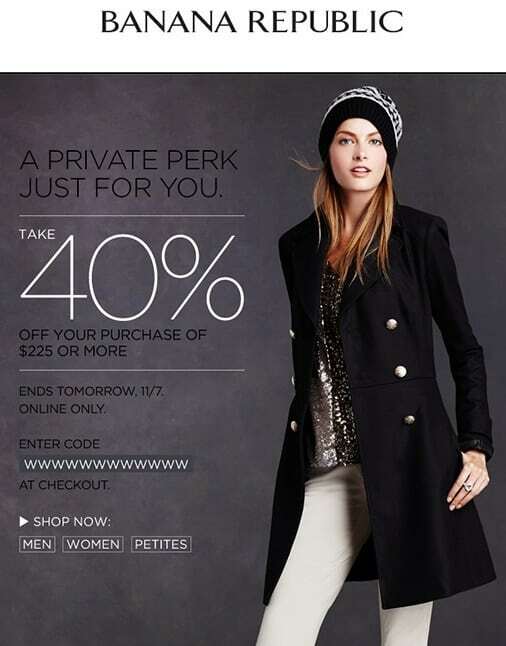 This simple but backed up email campaign encourage users to build trust through word-of-mouth. Key to success: Add social proof elements on your email like positive Facebook comments, retweets, reviews on IG and other unsolicited testimonials from social media sites. Huckberry is a popular online retailer mainly focused on men’s fashion products. Although men are naturally hard to convert online, this website uses powerful psychological triggers to make their email campaigns irresistible. Having a sense of urgency and fear of missing out makes their campaign extremely successful. Key to success: Include product scarcity, time-bounded discounts and limited special offers on your email to get people take quick actions. Another website about men practicing great email campaigns is Harry’s. What makes their campaign effective is that they strengthen customer’s lifetime value by incorporating educational snippets on their transaction messages. Instead of sending a generic notification, they opted to include helpful tips and tricks on their email. Key to success: Add short but useful insights on your consumer emails; it makes them more valuable, informative and worth reading. Banana Republic is a known brand worldwide. Even though classified as a trusted company, they still send out email blasts to increase profits – but with a twist. By making subscribers feel they are VIPs, important, privileged and special, their email campaigns help build a strong customer loyalty that in return makes sales. Key to success: Offer member exclusive deals on your email such as secret savings, VIP discounts, free shipping and free returns. Do you have an upcoming event like new product offering, weekend discounts or big clearance sale? 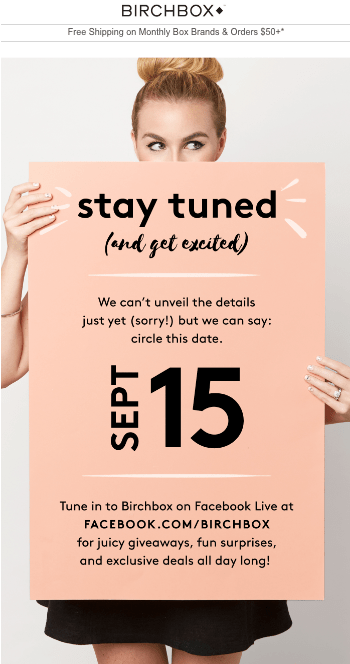 Use this to build anticipation just like what Birchbox did on their previous email campaigns. Instead of sending a boring message on your email list, create a feeling of surprise and excitement. Key to success: Use stimulating words to build feeling of anticipation and give away vital information such as date of the event or maximum discount percentage. Email campaigns with tons of contents should not be confined into a small square-ish box. Check out this email crafted by Magnolia Market. Instead of squeezing all those pictures, texts and messages into a cramped space, they use the wonders of scroll function to create one-long single message that doesn’t obstruct the beauty of the email. Key to success: Don’t clutter your message by squeezing too much contents, use a tile-heavy design to perfectly layout your email. Using the best email marketing software coupled with creativity and imagination are sure fire ways to create stunning email campaigns. And Jo-Ann Fabric and Craft Store just did that by gamifying what seems to be a mundane experience. By adding click-through and creative moving frames on their messages, it amplifies the whole thing making it more fun and exciting. Key to success: Add interest on your emails by including games and playoffs. This is easy to pull-off by using GIFs. For those dealing with business emails, remember that you should put your audience at the center of the story and not the brand itself. 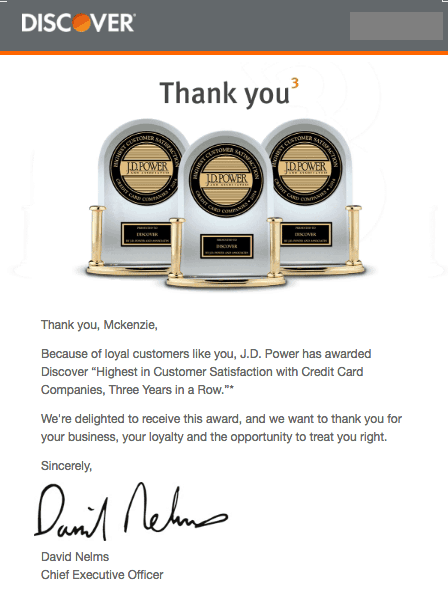 If you would take a look at Discover’s email, they showcased their accomplishments not by bragging them but by thanking loyal customers. Email campaigns should be trivial just like this one. Key to success: Your subscribers should feel appreciated, encourage long-term loyalty by sending heartfelt thank you messages. These worthy and proven effective email campaigns should give your business the boost that it needs. You can put to use these remarkably successful email marketing strategies but don’t forget to modify or tweak it to better suit your products.